There were few people on the road on a Saturday morning. Shady tree-lined pedestrian pathways were on both sides. An amazing egg-shaped building could be seen at end of the road. Sunlight reflected off the glass-covered building. This is inside the Infosys campus in Pune. 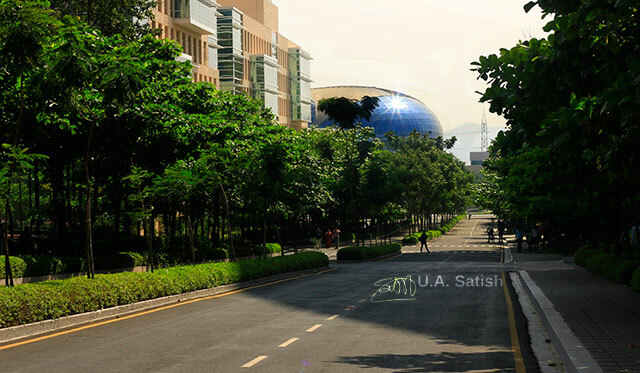 The campus is in Rajiv Gandhi Infotech Park, Hinjawadi. Click here to see a video of Infosys Pune Campus on YouTube. The camera is Canon EOS 550D and the lens is Canon EF 50mm f/1.8 II. Aperture was f/16 at a shutter speed of 1/100 sec. The camera was used in aperture priority mode. 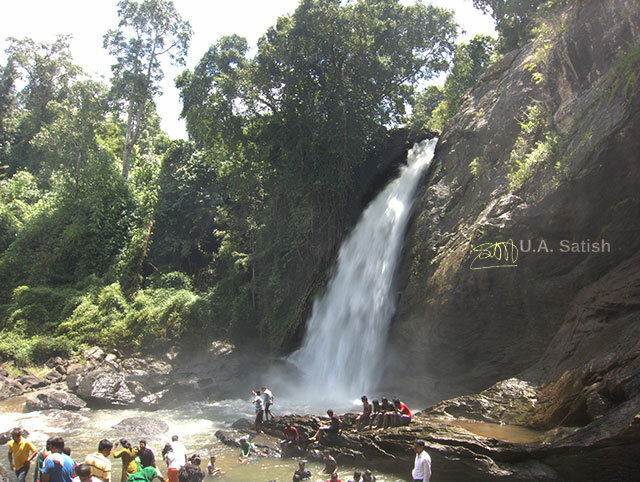 I was in Kerala last month and visited Soochippara Falls. It is 23.5 km from Kalpetta, a 46 min drive . The road passes through beautifully manicured tea gardens. The tea gardens line both sides of the road amid rolling hills. Nearest railway station and airport is Kozhikode. Entry to the falls is not allowed during monsoon season. There is an entry fee of Rs. 30 per person. Plastic items are not allowed inside. Must be prepared for leech bites. One has to trek about 2 km through the forest. The path has ups and downs. There are steep steps to climb too. The walk can be tiring. Incidentally, I did not see any medical facility in the area. It may take a couple of hours to reach the falls and return to the entry point. So visitors should plan to get to Soochippara before 3 pm as it gets dark very quickly there. You can see my video on Soochippara Falls on YouTube. I was carrying my Canon PowerShot S110 camera. I used it in RAW mode. Aperture was f/4.5 at 1/20 sec. ISO speed was 125. Lens was 5-26mm f/2.2-8. 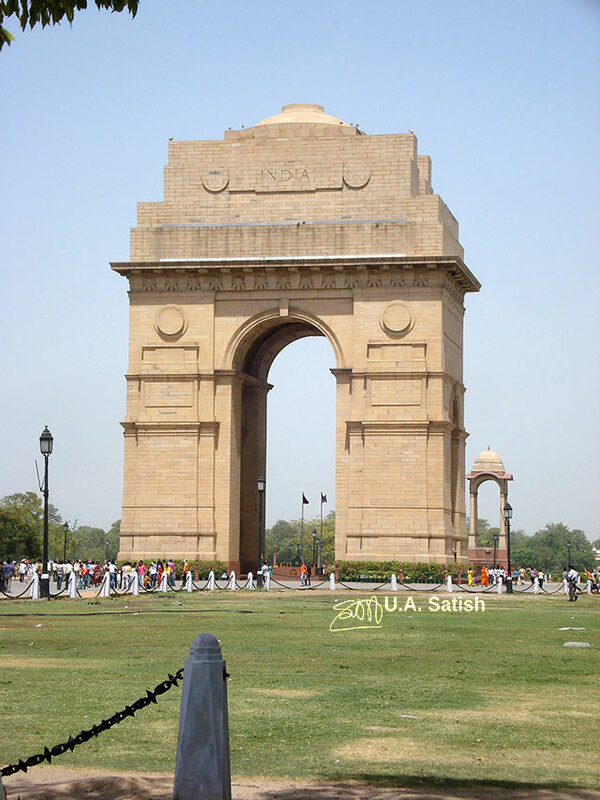 India Gate was built in memory of the 70,000 Indian soldiers who laid down their lives in World War I, fighting for the British Army. The names of all the soldiers who died during the World War I are inscribed on the walls of the Gate. Construction work took ten years, from 1921 to 1931. It is often compared to the Arc de Triomphe in Paris. India Gate is at the eastern end of Rajpath in New Delhi. Nearest metro station is Central Secretariat. Distance from airport is 15 km. Camera is Sony Cybershot DSC-W35. The photo was taken on a bright summer day in Delhi. Aperture was f/11 at a shutter speed of 1/160 sec. To view, license and download this image, please contact Getty Images. I took this shot on 26 December last year. 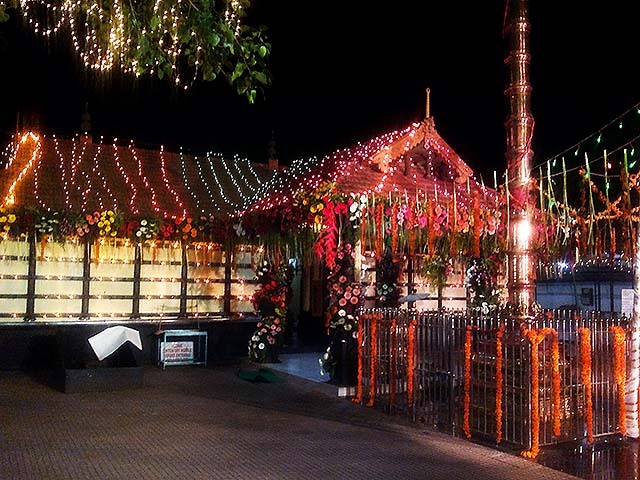 The temple was beautifully decorated with flowers and lights. It was the last day of Mandala pooja celebrations. The temple has special poojas and offerings on that day every year. The temple is in Vasai, Maharashtra. It is built in traditional Kerala style of temple architecture and is dedicated to Shri Ayyappan. Other deities are that of Shri Ganapathi, Durga Devi, Shri Subramania, Shri Krishna, Shri Shiva and the Nava Grahas. There is also a Sarpakkavu. I was carrying my mobile camera Nokia C7-00 with me. I captured the image with it. Exposure program was in automatic. I later edited the photo in Photoshop with Curves and Color Balance adjustments. I took the shot at noon on a December day. The sun was shining brightly and the sky was clear. The road in front of the terminus was crowded. You can clearly see the remarkable stone dome. 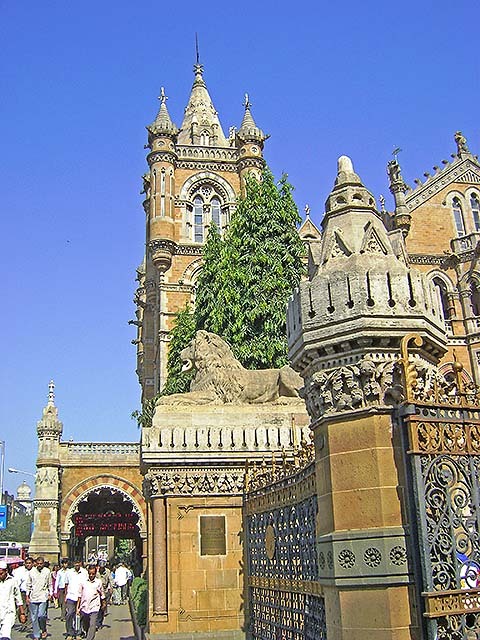 The arches, turrets and ornamental gate add to the grandeur of the structure. I used my Sony Cybershot DSC-S750 camera. Aperture was f/5.6 and shutter speed 1/500 sec. Focal length was 5.8 mm.